The article says "no water, so no boats", in the "Get In" section, but that must have been intended for the "Get Around" section. 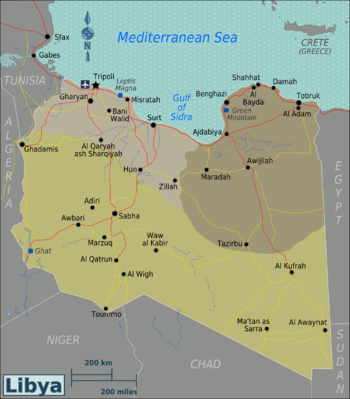 Libya has a coastline on the Mediterranean -- I can't imagine that no boats travel to e.g. Tripoli from places like Greece or Italy. Can someone check on this? 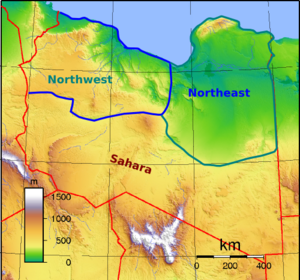 Libya is vast, but very empty away form the north coast. I think three regions might be enough (oddly enough, the country used to be three kingdoms, which sort of correspond, roughly): Northwest, Northeast, Sahara. Comments please. This page was last edited on 26 August 2011, at 23:00.